the brand and its store. The change of strategy came largely with the move of its showroom from Southgate. After being at the Hampden Square, Southgate showroom for over 25 years it was time to move, to a new showroom in Barnet with a high street position, easy parking and a large shop frontage. Starting again with the latest in European products and using the manufacturers with the best back up and support. So why a change in branding? “The market is split between different buyers now. There are those who will buy by price regardless of the quality or make, we will try to match prices with our price promise, so even the internet is not always the cheapest option, sometimes it’s cheaper locally.” The thrust of this strategy, as explained by Grant, is to openly reposition the Aquarooms brand locally more towards the “design installation and maintenance aspects of the business”. The Aquarooms studio has fully tiled shower trays and wet room floors, which have been produced using Elements, environmentally friendly waterproof structural foam. The unique properties of this product have enabled tiled curved shower walls, seats & decorative mosaic features to be incorporated into designs. Aquarooms still show over 22 fully tiled Bathroom settings with a large selection of accessories, mirrors and cabinets with the showroom emphasis on Design and Installation. great value and we’re happy to have it compared in a valid way. Aquarooms new approach is undeniably impressive. They offer differentiation from its nearest competitors, by raising the game on service and quality for their customers. 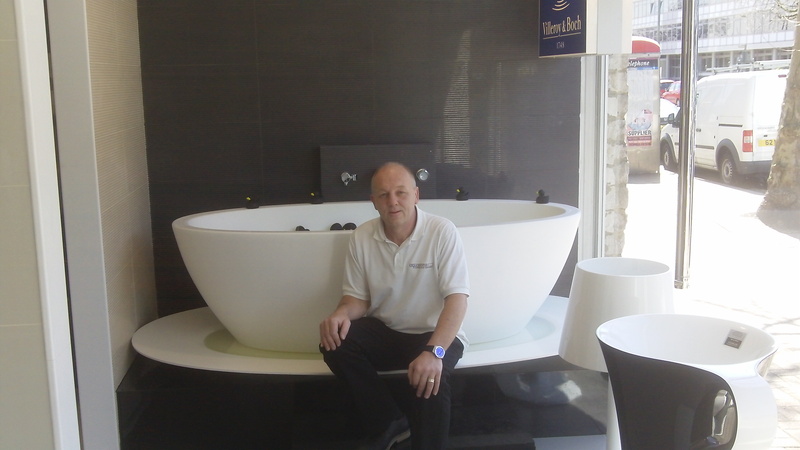 This entry was posted in News, SHOWROOM and tagged aquarooms, Barnet, Design, Installation, Showroom. Bookmark the permalink.